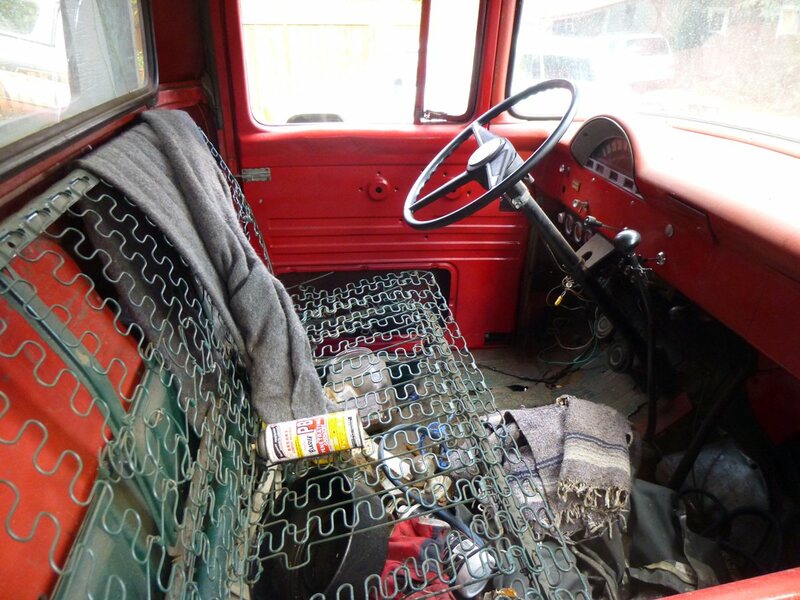 In the IAMMMMW post, Tom Klockau mentioned not seeing a fifties’ vintage Ford F-600 in decades. This isn’t a cab-forward model like the one in the movie, but it is readily available, in the right part of town. Eugene has quite a few neighborhoods, some richer in Curbside Classics than others. But the Whiteaker neighborhood has them all beat: Not only is it (in some cases literally) littered with old cars, but it has its own official neighborhood CC truck, this fine old F-600. 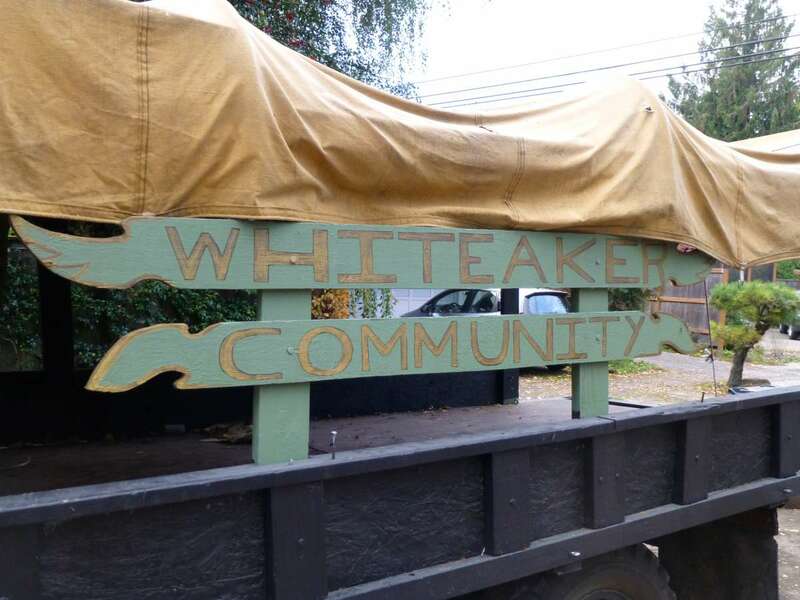 If you have six minutes, this brief profile of the Whiteaker gives some historical and cultural background. In a nutshell, its one of the oldest neighborhoods, and unlike almost all others, it has a mixed-use zoning in parts of it that allows both business and residential use. That alone is conducive to the kind of eclectic evolution the Whit has seen, and one that’s more in demand than ever, given recent trends. Lots of artisans and such living and working in the same place, like once upon a time. 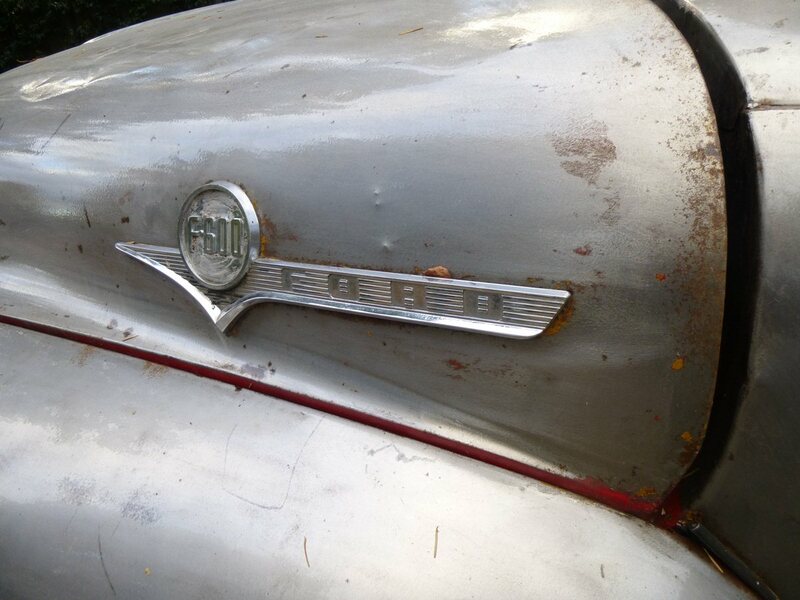 This fine old F-600 was resuscitated a couple of years back, and is evolving, having sprouted a canvas top and sign. I know it appears in the annual Whiteaker Block Party, which has become quite the party indeed, and takes up many blocks. But if it serves some other purpose, I’m not quite sure. Tours of the neighborhood? In one of my books, the F-600 is listed as a two-tonner. That sounds pretty conservative, to say the least. 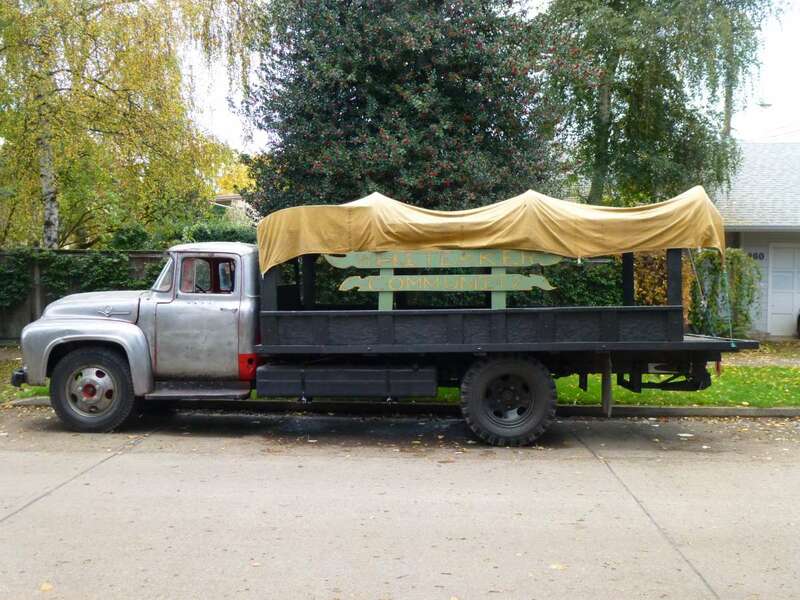 One of the neighbors of the Mennonite family I spent summers with owned a stake truck exactly like this, although it might have been a ’55. They had a big farm for the times, because it wasn’t exactly common to have a truck that big. Theirs was painted a bit more conservatively than this. There’s a V8 under the hood, obviously. Make that a 292 Y-Block, a tough old anvil of a motor. 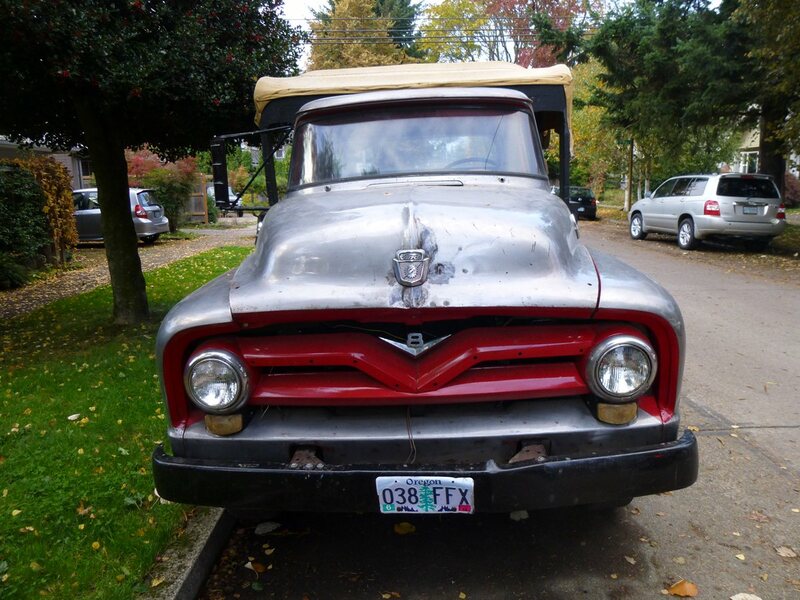 1956 marked the last year for this generation Ford truck, before the boxy Tonka-toy look came along. This Ford doesn’t have the optional “Custom Cab” package, and therefore the seats are a bit spartan. But they breathe well during the summers. 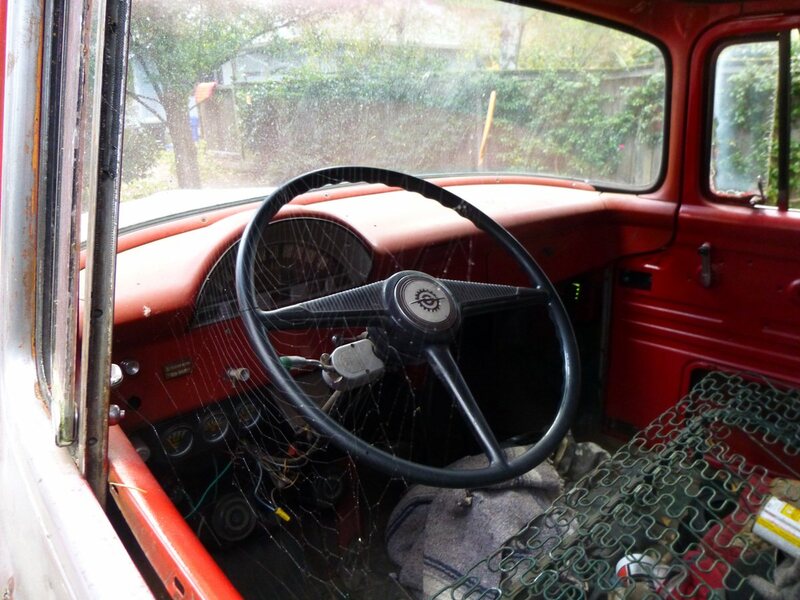 The windows were open, but there was a spider’s nest in the driver’s side. Who would mess with this truck anyway? I rather like that steering wheel. I like to see these old girls still on the road, but I suspect this one’s working days are over. The window was left open so the “simplified” door latch can be accessed I’m guessing. Trucks like this are still found on farms and orchards for “on property use” from time to time, but you don’t often see them licensed. Parade float maybe? Interesting that they left it in bare metal, wonder if it is clearcoated? I guess it also has the Non-Custom Cab package: “Sorry sir, the upholstery and interior door handles are extra!” I don’t see a spot for a radio or radio blanking plate either. Maybe it was just hung under the dash when ordered. As glossy as it is I’d say it was Cleared at some point. The surface rust is trying to take over though. It has a ’55 grill and, I think , a ’55 steering wheel. Great truck, though I’ll bet it is a handful to drive. Back in my college or law school years, I worked at a couple of places where I spent a lot of time on forklifts. I remember some of them were still using this steering wheel. I knew that it was early 1950s Ford from my model kit building days. Love the seats. It would be pretty easy to equip it with a warmer – a small battery and some connector wires? The “People’s Truck” is no joke. The Russian ZIL-130 trucks bear a more than curious resemblance. Coincidence? I think not. There’s a ’60’s F150 (or F100) in our neighborhood, with the same seat motif. It seems to be regularly driven. I can’t imagine what it’s like to sit on those springs. 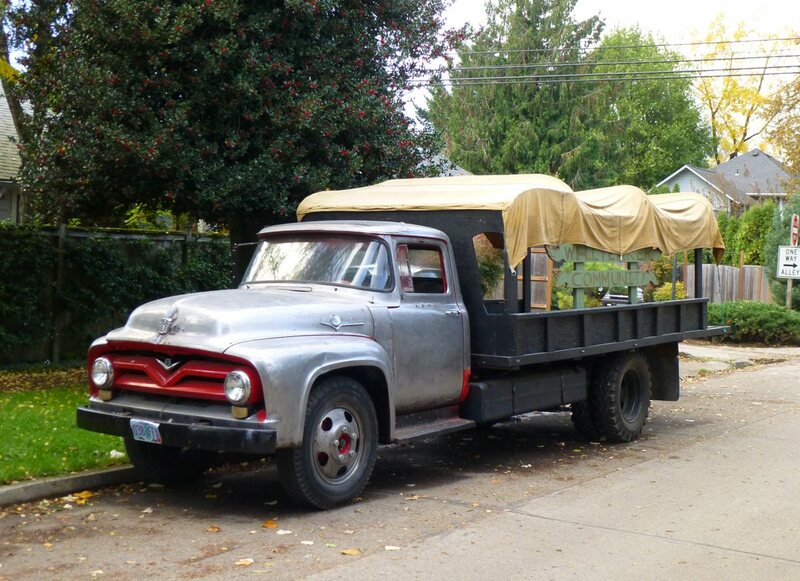 Is this 56 ford f600 steel for sale?